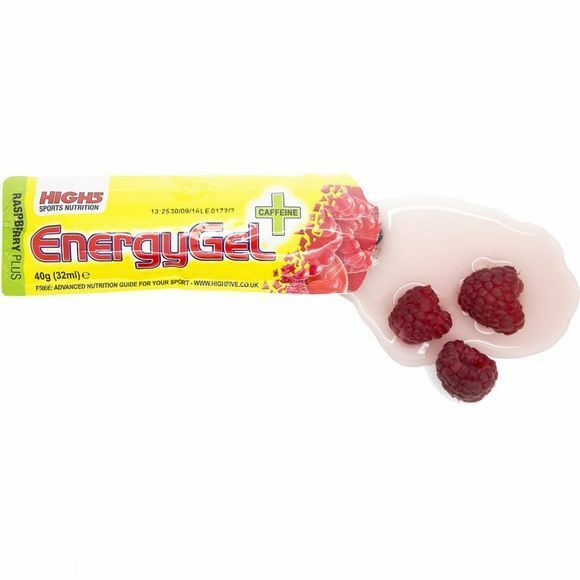 Race proven in the World’s toughest competitions High 5's Energy Gel Plus Raspberry provides instant energy with caffeine a boost, and 23g of carbohydrate energy. With real juice flavours for a light refreshing taste it will go down well on the go. Suitable for vegetarians and vegans.